Facebook is now officially a public company, scads of new millionaires are on a Silicon Valley spending spree, and media outlets near and far have yet to pipe down about the IPO, likely one of the most anticipated in history. But is the long-term viability and success of Facebook a slam dunk? You’d think so, considering 900 million people on the planet use the social network now valued at nearly $105 billion. I wouldn’t go quite that far, but he makes some valid points. 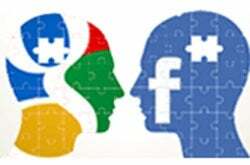 Many people have grown tired of Facebook and do prefer alternate social networks, such as Google+. Google certainly is serious about social and it’s no secret that Facebook wants more of Google’s advertising, but who will come out on top? Yes, Facebook has a huge head start in social compared to Google, but Google+ users tend to be fiercely loyal because, honestly, it’s a great -- albeit very different -- product . Unlike Facebook, Google+ is where you’re more likely to engage with strangers -- many of whom reach out from countries around the world. Just this morning I had a Google+ chat with a blogger from India who, even though he uses both Facebook and Google+, was only able to reach me through the latter where in seconds we were having a conversation about the merits of both social networks. Such contact wouldn’t have happened on Facebook because my Facebook friends are all in the U.S. and most of them know me personally, which means I keep my chat disabled because I don’t want people I haven’t seen in 20 years messaging me every time I check my stream. Eric Norstrom, a molecular and cellular neurobiologist, is another person with whom I’ve connected through Google+. While there certainly were some privacy concerns when Google said it would share user data across its products, it can’t be denied that the company has created a slick and seamless experience for users. On my Android phone I use Places, Maps and Navigation, YouTube, Voice, Talk, Calendar, Drive, Goggles, and Play Music, and many of these apps sync to the cloud for integration to the desktop. In essence, Google has a very large window into what I’m doing, where I’m going, what I’m watching, and who I’m talking to. And this window stays open for much of every day I’m online or using my phone. While Facebook also garners data from me when I’m on its network, I’m not there very often, relatively speaking. Facebook has many fans, is growing on a billion users, and now has a big pile of money with which to continue to innovate. For instance, the company recently said that at some point it could launch an advertising network to display ads outside of its platform. That would be huge and put the company in a much better place to compete with Google. CNET’s Rafe Needleman wrote a great piece summing up the many ways Facebook and Google’s trajectories cross, particularly when it comes to advertising. And as he points out, both companies have their strengths. “The infusion of public IPO money will embolden Facebook to take on Google directly in areas where it's clearly weaker -- primarily advertising, but also search and mobile. Google will defend its turf while simultaneously attacking Facebook in social (and hopefully in identity services),” he writes. That last part -- identity services that let you sign into a Website or account using your Facebook credentials -- is definitely something Facebook has a good hold on, and as Needleman points out, it’s something Google needs to get better at marketing. Can Facebook figure out how to get some of that pie? It had better -- its users are now using the social network more from their mobile devices than from their desktops. If it doesn’t, Michael Deacon’s dire prediction about Facebook might just come true.